Clinic Synopsis: As music educators, to say that repertoire is crucial to our program is an understatement. Simply put, the works that we choose inform our practice. Not only does repertoire form the foundation for our music programs, but it also influences what we teach regarding music history, theory, and even musicianship. This presentation will provide music educators with practical tools and strategies to select and evaluate quality repertoire. 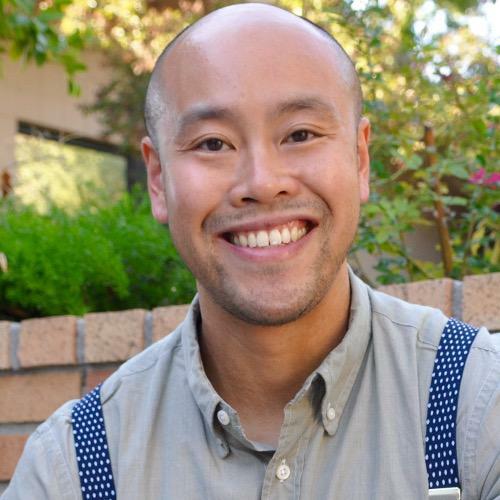 Clinician Biographical Information A native of Calgary, Alberta, Canada, Erik Leung is the Director of Bands and Coordinator of Instrumental Music at Fresno Pacific University. In addition to teaching conducting and music education, he conducts the Fresno Pacific University Symphonic Band and the Pacific Brass Ensemble. Leung is also currently completing a doctoral degree in wind conducting from Northwestern University. He has earned degrees from the University of Toronto and the University of Calgary. His teachers include Mallory Thompson, Gillian Mackay, Glenn Price, Mark Hopkins, and Jeremy Brown. Leung has written articles for the Canadian Band Journal and has recently created a critical edition of Jan Meyerowitz’s Three Comments on War for concert band, which was published in 2015 through E.B. Marks. Leung has been nominated for the Edwin Parr Teaching Award, was a semi-finalist for the Alberta Excellence in Teaching Award, and received the Merit Award for teaching excellence at Fresno Pacific University. He holds memberships in the College Band Directors National Association, World Association of Symphonic Bands and Ensembles, the California Music Educators Association, and the Canadian Band Association.